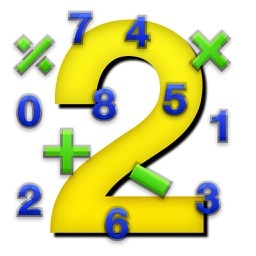 TeachMe: Math Facts helps teach math facts by giving quizzes by fact group (for example multiplication by 5’s). 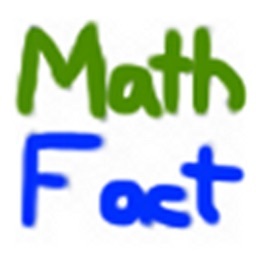 If a student earns a gold trophy in a fact group quiz, they graduate to the next fact group. 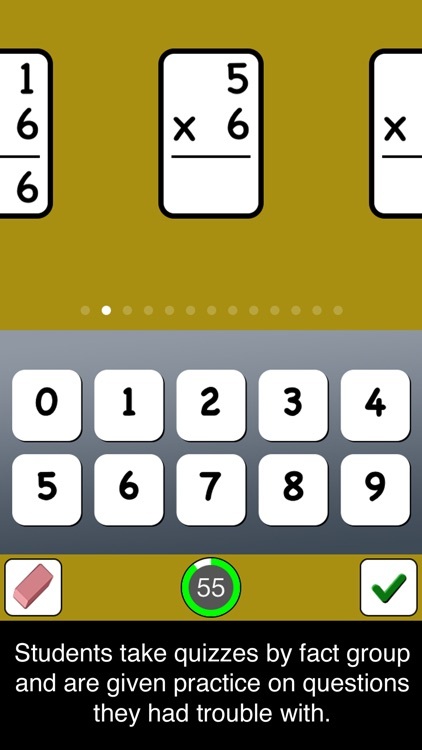 If a student does not get a gold trophy on a quiz, the app will give extra practice on incorrectly answered questions, as well as on questions that they took a long time to answer. This extra practice is done by reviewing single questions and also timed questions 3 at a time. Once the student has reviewed problematic questions, they are given the chance to retake the quiz in that fact group. 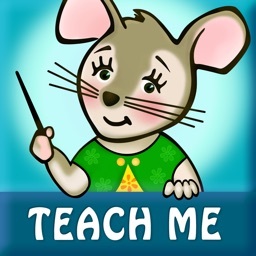 TeachMe: Math Facts keeps children engaged with a unique reward system in which children earn coins by playing learning games at the school. 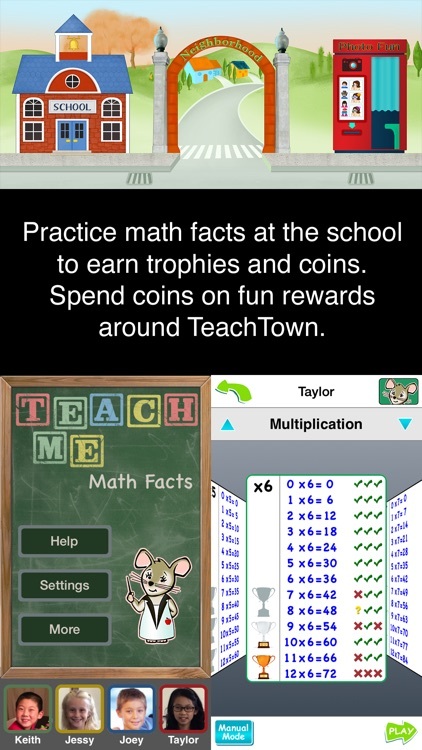 They can move around the rest of TeachTown to spend their coins on fun rewards. 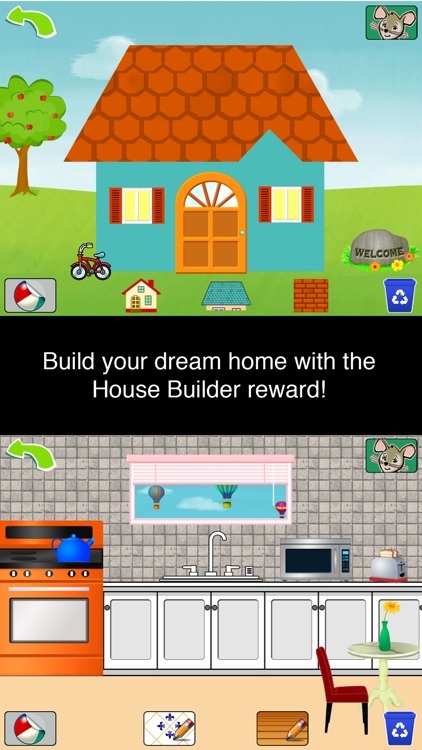 Children can build their dream home in the TeachTown Neighborhood, make creative photos at the Photobooth, collect stretchable shapes at the Shape Store, visit their virtual aquarium at the Fish Store, and decorate different scenes at the Art Store. 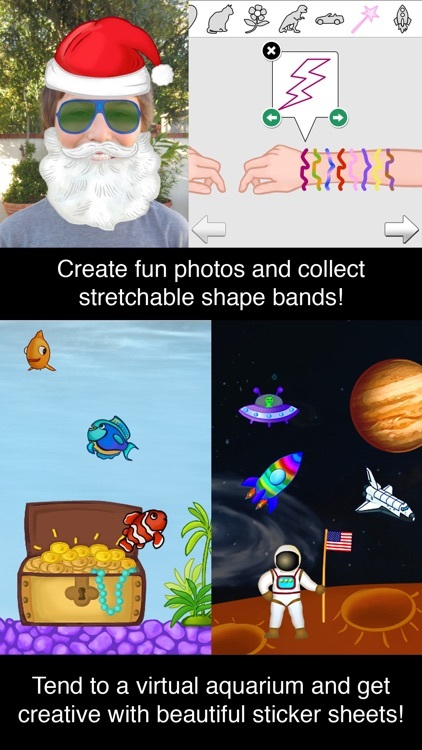 The simple and intuitive user interface is child friendly, allowing children to play without help from an adult. Mimi Mouse, the animated teacher, gives verbal instructions and feedback in a positive way to encourage the student to learn and succeed! Quiz content, options and rewards can all be customized for each student. Parents choose the topic to start with, the range of fact groups in that topic, and the order of the operands. 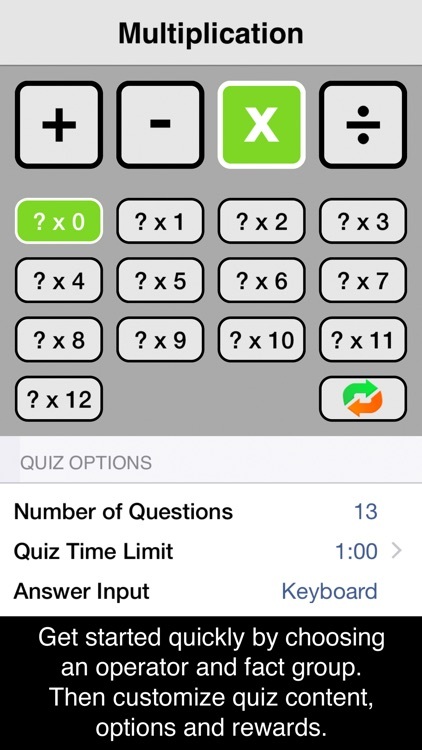 Parents can also change the quiz options: the number of questions, the time limit (if desired), the input mode (keyboard or writing) and more. Parents can also set the reward criteria for how a student earns each trophy and how many coins they can earn. Each child has an achievements screen which motivates and encourages learning by showing progress and trophies for each fact group. Parents can use this screen to quickly see progress of their child. Please email us at [email protected] for help and suggestions as we cannot respond directly to reviews. 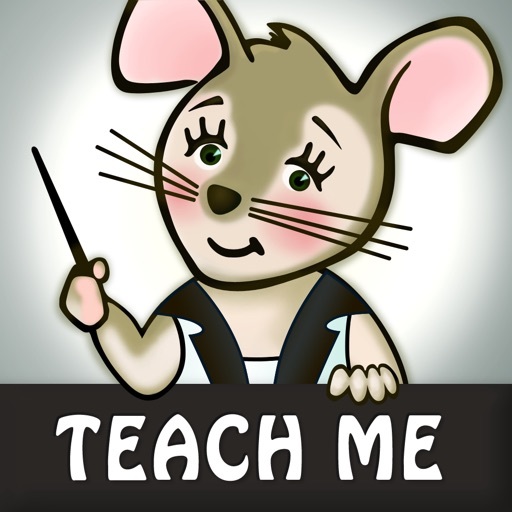 Try the other apps in the TeachMe series: TeachMe: 3rd Grade, TeachMe: 2nd Grade, TeachMe: 1st Grade, TeachMe: Kindergarten and TeachMe: Toddler. 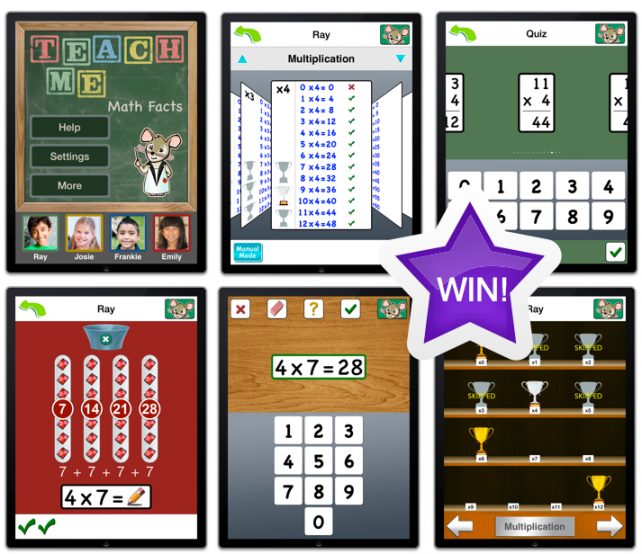 Here's your chance to win the latest title in the TeachMe series of educational apps. 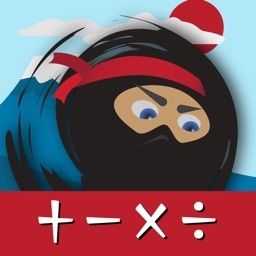 We are printing photos and brushing up on our math skills on today's AppAdvice Daily.